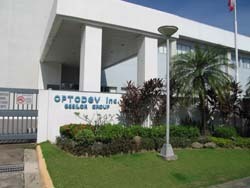 (Manila, Philippines) – Since 1998, OPTODEV, Inc., a subsidiary of Essilor International, one of the leading global players in health care, has been a producer of high-index ophthalmic lenses for the medical sector. 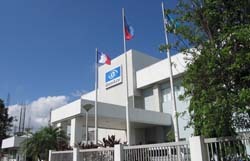 Their plant in Laguna, Philippines is considered a "Center of Manufacturing Excellence" and mass produces a number of Essilor’s more notable brands. To meet strict product-quality standards and to address environmental safety and health compliance requirements, OPTODEV's manufacturing facility demands precise control over the temperature and relative humidity while maintaining 100% outside air. This also serves to ensure a comfortable and safe workplace for its employees. Such sophisticated requirements can be very energy-intensive on the facility and taxing on personnel. To eliminate settling of particulates and to dilute possible clean room contamination to an acceptable level, the air must be properly conditioned and ventilated at a minimum of 10 changes per hour. This caused the building’s old electromechanical, manually-operated HVAC system to use a substantial amount of energy. Further, the company had, for many years, manually monitored their clean environments with traditional chart recorders. 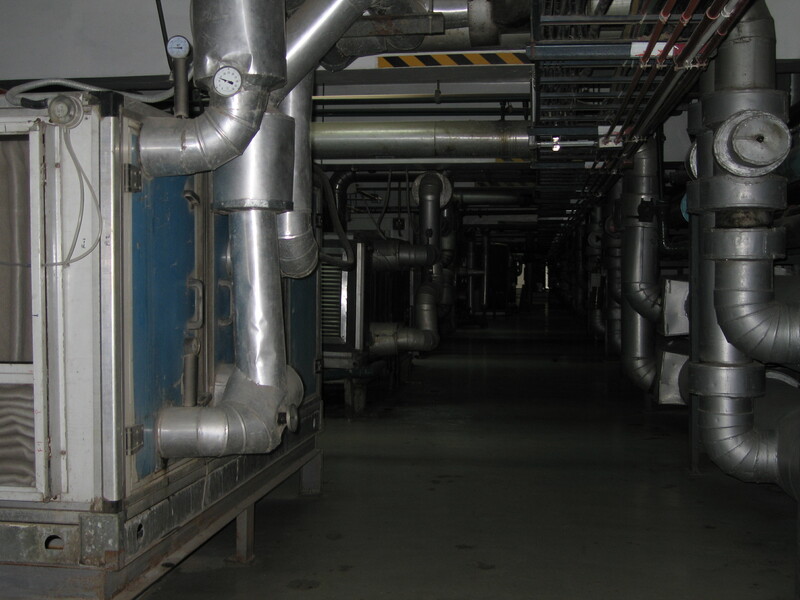 These systems and processes were highly inefficient and lacked any sort of alarm mechanism to alert personnel to out-of-specification building conditions. In search of ways to significantly reduce both energy costs and time spent manually monitoring environmental conditions of the building, OPTODEV turned to energy management contractor, Asyst Power Technologies. The challenge? Develop a retrofit master plan (four phases) to replace individual, antiquated systems with a fully-open, interconnected BACnet building automation system (BAS). Representing, at the time, Siemens Industry, Inc., Asyst chose the APOGEE BACnet BAS suite for Phase I and began by retrofitting the manually-operated HVAC system with a fully automated DDC system flexible enough to address all specific requirements of system equipment (AHUs, boilers, chillers, etc.). Initial operating costs savings were estimated at 20% annually, with actual measured costs metrics for the first year showing closer to 25% savings. While pleased with the initial phase of the retrofit, dissatisfaction with on-going manufacturer support in the Philippines, and the customer’s desire for increased energy savings caused Asyst to switch their offering to another BACnet manufacturer—KMC Controls. "We chose to switch our offering to KMC Controls due to their highly interoperable and reliable BACnet product line, and also for their renowned product support," commented Liberato Donato, VP of Operations at Asyst. He went on to say, "Our customer wanted more energy savings, but we had squeezed all we could out of the original system. We needed a more capable solution." Asyst initiated Phase II of the project, which expanded the overall building system and seamlessly integrated the original system with the more capable KMC BACnet system. 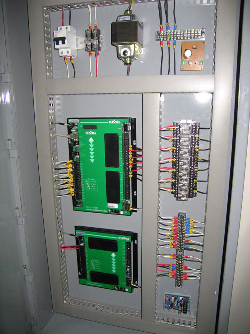 Through the installation of a number of BTL-listed, KMC BACnet Building Controllers (B-BC), expansion modules, electronic actuators, and sensors, as well as, the improved customization of control sequences, Asyst was able to better optimize and fully automate complex control functions of the entire building management system. The system more closely monitors and controls the conditioning and use of outside air and better detects and adjusts air-handling devices based on predetermined setpoints and other occupancy conditions. Because the facility runs around the clock, the system’s responsiveness is vital to overall performance and energy efficiency. All of Phase II process and control upgrades were accomplished while the plant remained at full capacity without any interruption in production and plant cooling. Preliminary savings projections were estimated at an additional 10–15% in operating costs, with initial results indicating savings more in the 15–20% range. The plant has expanded capacity by over 20% in last two years, while measured energy cost metric (KWH/GL) has dropped by over 20%. Also, due to systems automation, air-conditioning start-ups can now be performed by only one technician enabling other plant technicians to focus on more technical tasks. The flexibility provided by KMC’s building automation and control solutions was exactly what was needed at OPTODEV, Inc. "Our highest priority was to find a local systems integrator who could provide reliable hardware and flexible software to meet the needs of our complex sequence of operation, as well as our monitoring and alarming needs," commented Herman Robles, Head of Energy Conservation Projects at OPTODEV Inc. "KMC Controls and Asyst Power Technologies have met all of these challenges, and provided us an intuitive, simple to understand GUI," he added. By creating an open and sustainable BACnet building automation system, KMC and Asyst have provided for a modern-day level of data input, reduced overall operating costs and have laid the groundwork for future upgrades. Future plans (Phases III–IV, to be completed by Y/E 2012), include the construction of a new 90,000+ sq. ft. facility to expand OPTODEV’s manufacturing space. Further BACnet control via KMC building controllers will be required in the chilled water plant to manage the 400-ton York and 300-ton Carrier machines, associated pumps, cooling towers, and other process water equipment. A KMC Modbus/BACnet gateway is planned to integrate over 30 submeters into the system for monitoring and plant power control purposes. Also in Phase III, the KMC TotalControl web-based workstation will replace the existing operator workstation, allowing for improved data-handling capabilities, trending analysis, and automated alarm notifications to facility engineers. TotalControl will also make it possible to record and produce reports denoting exact compliance with, and deviation from, the specified room conditions (e.g., pressure, temperature, and humidity). In the final analysis, more than 2,000 data points will allow operators to have access to and receive information from all integrated systems.